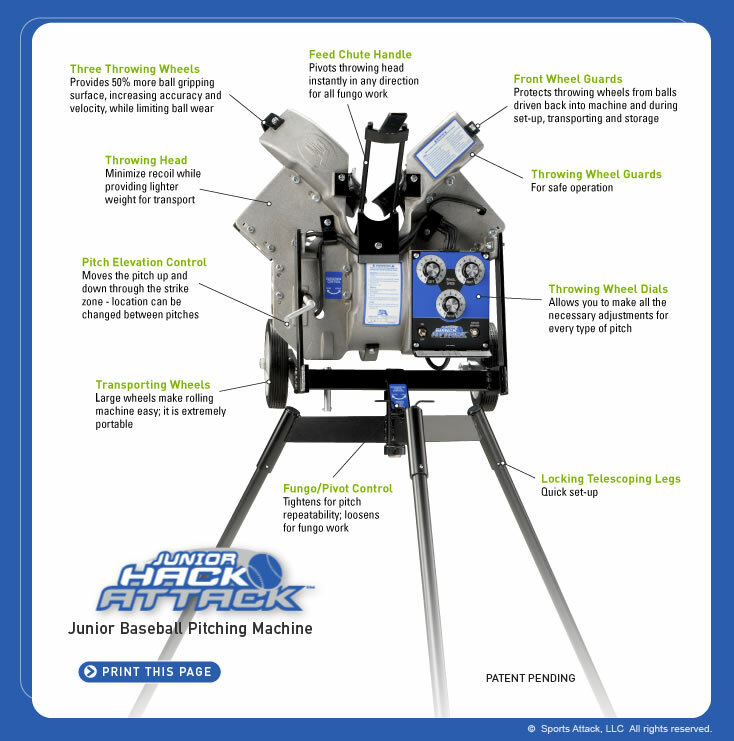 The Junior Hack Attack Baseball Pitching Machine is the major-league quality training tool designed to develop serious young players. 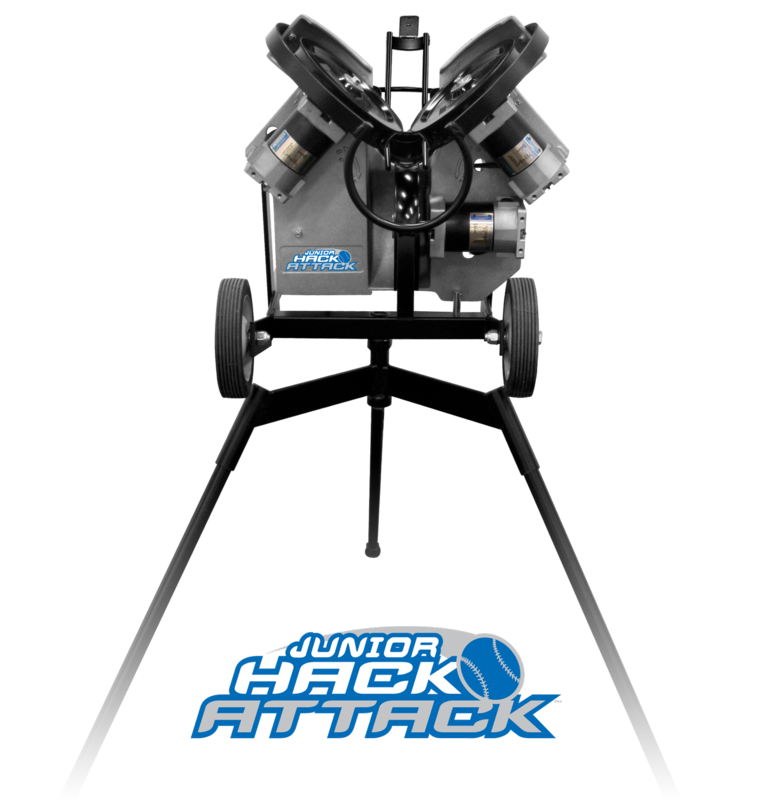 The Junior Hack Attack has a unique three-wheel design that allows you to see the ball clearly and fully all the way through the feeding motion, acceleration and release, just like a live pitcher. In developing hitters, especially at younger ages, there is nothing more important than timing and vision. With this design, the hitter sees when to stride and the angle of release, giving him an actual live-arm sense of timing and location. The Junior will develop your dedicated players into the “pros” they want to be. 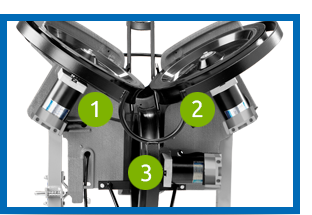 At a level where simplicity is imperative, with the Junior Hack Attack dials you can effortlessly throw major league fastballs, and right and left handed breaking pitches including curveballs, sliders and split fingers. The Junior Hack Attack has an inside/outside adjustment that provides instant, minute ball location change at the plate. 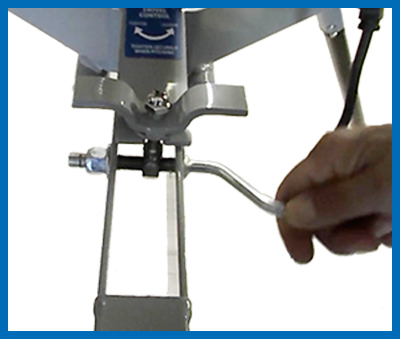 The Throwing head of the Junior Hack Attack pivots instantly in any direction for all fungo work including deep fly balls, slicing line drives, catcher’s pop-ups with reverse spin, towering infield pop-ups, and grounders. 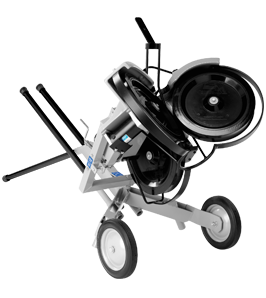 The Junior Hack Attack pitching machine quickly moves on and off the field by just tilting it, un-socketing the legs and easily rolling it on two heavy-duty transporting wheels (not the throwing wheels). 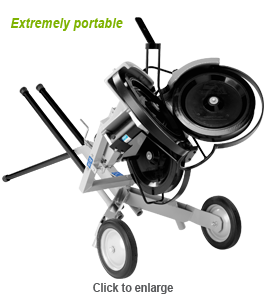 Three powerful variable speed motors drive three indestructible concave 14″ throwing wheels.